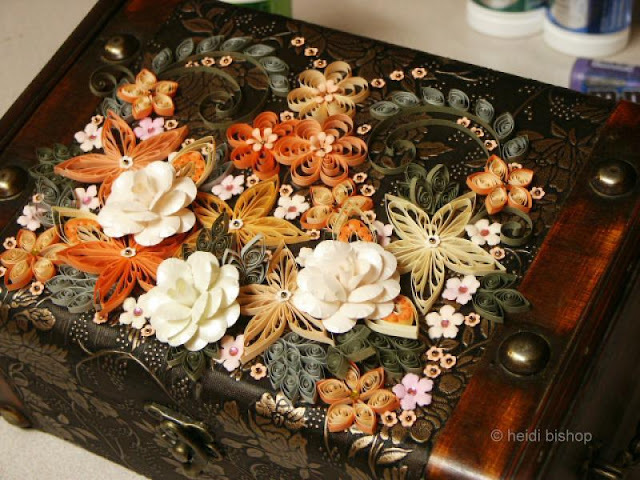 It's time for some container gardening.... quilling style, that is. My pals are always coming up with good ideas, so I asked if I could share these pictures with you. 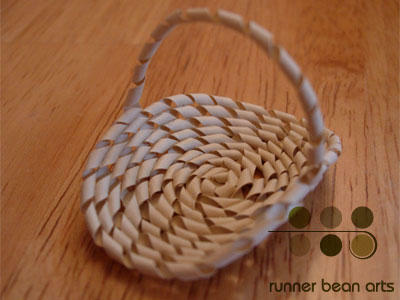 Tracy Belair Gaito in Vermont (you may remember her orbit necklace and tiny mice) made this graceful spiral basket. It reminds me of the kind Martha Stewart carries as she sashays through her gorgeous cutting gardens for the tv cameras. (yep, just jealous :-) Tracy has filled her baskets with irises and glads... I love the fresh, bright colors she's so good at using. Washington's Heidi Bishop (remember her cool quilled zebra's eye?) made this beautifully ornate treasure box. The highly detailed, encrusted filigree style harkens back to Jane Austen's time. 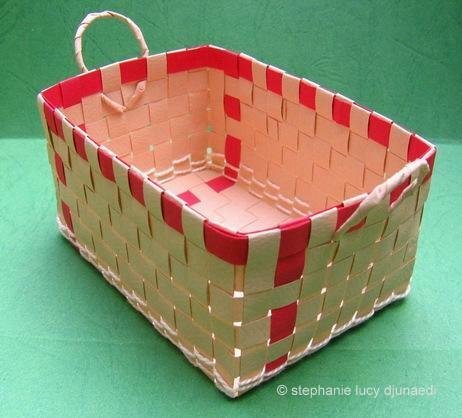 Stephanie Lucy Djunaedi from Indonesia creates clever paper weaving projects. Here she's decorated the top of a little paper covered box with a pretty floral arrangement. And this little woven basket Steph made makes me smile - it's so realistic, right down to the stitching. I hope these ideas have started your creative wheels turning! 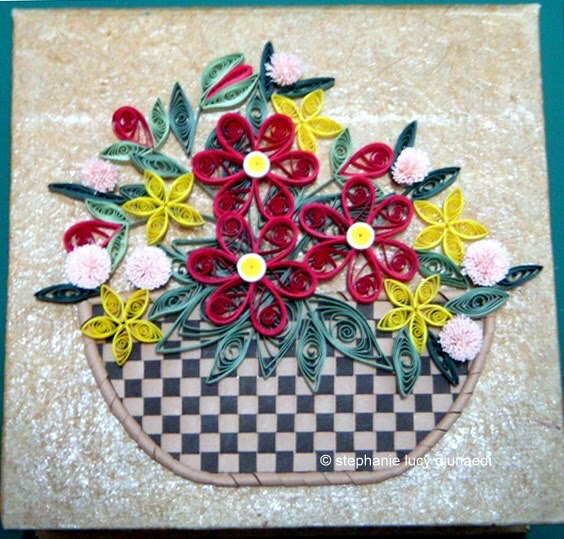 Beautiful examples of the variety quilling can be expressed as! So versatile and stunning! 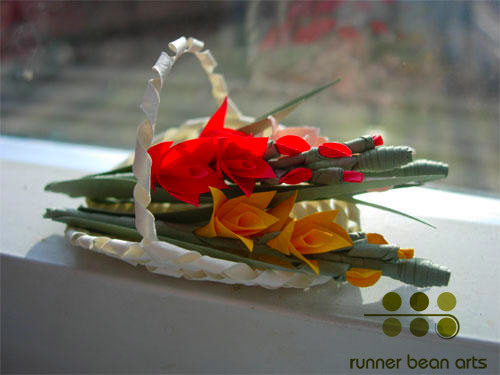 You consistently find and share the most amazing paper art - especially quilling. Thank you for the gift of your blog and all the beauty it brings into our lives. That treasure box took my breath away! What detail!